Tomorrow myself and the band play the first of 3 nights at what is probably my favourite venue in the world, The Royal Albert Hall in London. I know many of you are coming along to one or more nights, and in some cases travelling in from abroad, so I welcome everyone and hope you will enjoy the experience as much as I plan to! 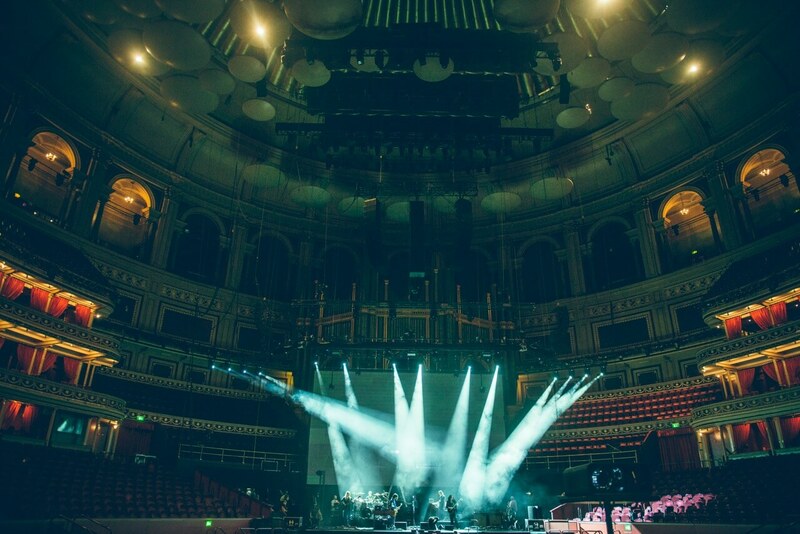 It’s nearly always magical at the Royal Albert Hall. Although all nights will be centred around the current To the Bone show, each will also have exclusive content. The first night (Tuesday) will be essentially a presentation of the show we’ve been doing across Europe for the last 8 weeks or so, but will include a live premiere of a song with a brand new beautiful animated video by Jess Cope, and one or two other surprises. The second night will delve more into my back catalogue, including a performance of most of Hand. Cannot. Erase, and an opening “unplugged” set where I’ll be playing a few older songs either in solo or duo (with Adam on piano) format. The final night is in many ways the most exciting for me, because the big news is that we are filming it for a blu-ray/DVD release. As I’ve constantly wanted to raise the bar in terms of the production levels in the show itself, so it is with the way we are going to film this show, I want to create something that captures as much of the spectacle and immersive aspects of the show as possible. We also have my former band-mate from the Porcupine Tree days Richard Barbieri doing an opening set on this evening, and it would seem rude to not get together to do at least one old PT song! We’ve just released the last few production seat tickets and as we’re filming it would be great to have a completely full house, so if you haven’t got a ticket for this show, please come along, make some noise, and be in my video!